One of the largest of the Special Collections at the UCL Institute of Education’s Newsam Library is the Historical Textbooks Collection. It has approximately 88,000 textbooks and classroom teaching resources dating from the 1890s onwards, when state-funded education was introduced in England. This collection also represents all educational levels, from nursery to sixth form and covers all aspects of the curriculum. The above image is an example of an 18th century textbook. 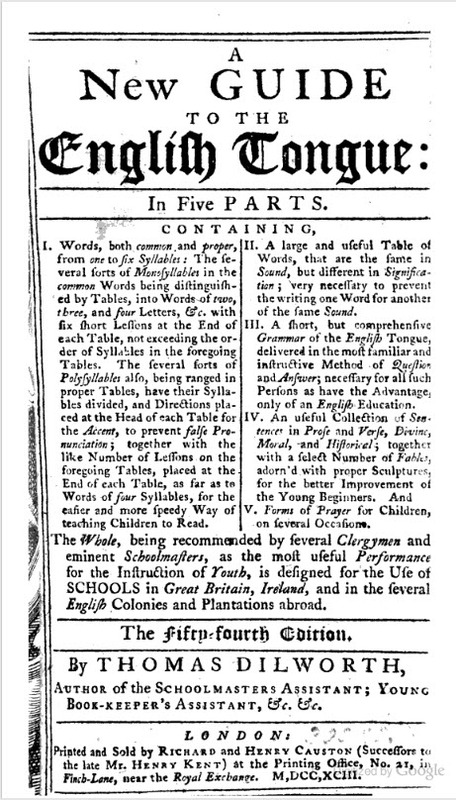 The Reverend Thomas Dilworth’s A New Guide to the English Tongue (1740) was considered to be one of the most popular and widely-used primers and by 1773, it had reached its 26th edition (the IOE has the first edition). It even made its way to America and is said to be one of the few books used by Abraham Lincoln. According to E.J. Monaghan (2007),* the book was so well-known that it is even mentioned in Dickens’ Sketches by Boz. The book was part of the collection of early printed books which initially belonged to the Board of Education (later the Department of Education) and then to the Inner London Education Authority (ILEA). When the ILEA closed in 1990, the collection was donated to the Institute of Education. These textbooks are important for a number of reasons. As Norman Graves states, “the textbook is a cultural artefact which has embedded in it through its use in classrooms a range of issues to do with ideology, politics and values which in themselves function at a variety of different levels of power, status and influence.”** The textbook can tell us about the state of the discipline and the pedagogies employed, it provides a view of the attitudes of the society of the time, it reflects the technologies that existed when the book was produced and it can tell us about the economics of the educational textbook market. Recent textbook researchers have used the collection to look at the representation of various subjects. For example, one researcher from the US used the biology textbooks to see how they presented evolution – some books convey the topic in a Darwinian manner and others are outright anti-Darwinian and use langue more compatible with the teleological, religious view. Another researcher looked at the school atlases in The Geography Textbooks Collection to see whether the portrayal of the ex-Soviet countries had changed after the Cold War (he has written about his research here) and another looked at the representation of Africa post WWII. 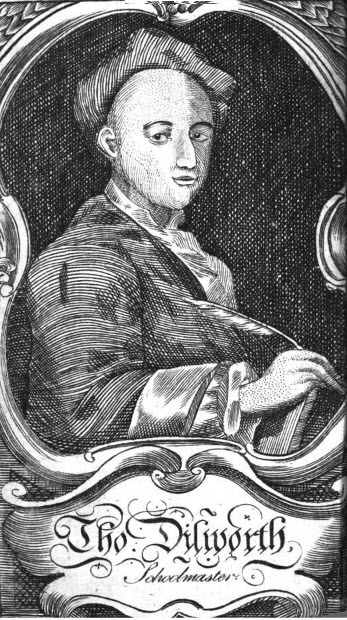 * Monaghan, E. J. (2007). Learning to Read and Write in Colonial America. Univ of Massachusetts Press. ** Graves, N. J. (2001). School textbook research: the case of geography 1800-2000. London: Institute of Education. This entry was posted in Library, Special Collections and tagged historical textbooks collection, special collections. Bookmark the permalink.